Kale, komatsuna, mizuna. Say that 5 times, fast. All three of these leafy greens are brassicas (other family members include cabbage, turnip and Brussels sprouts). 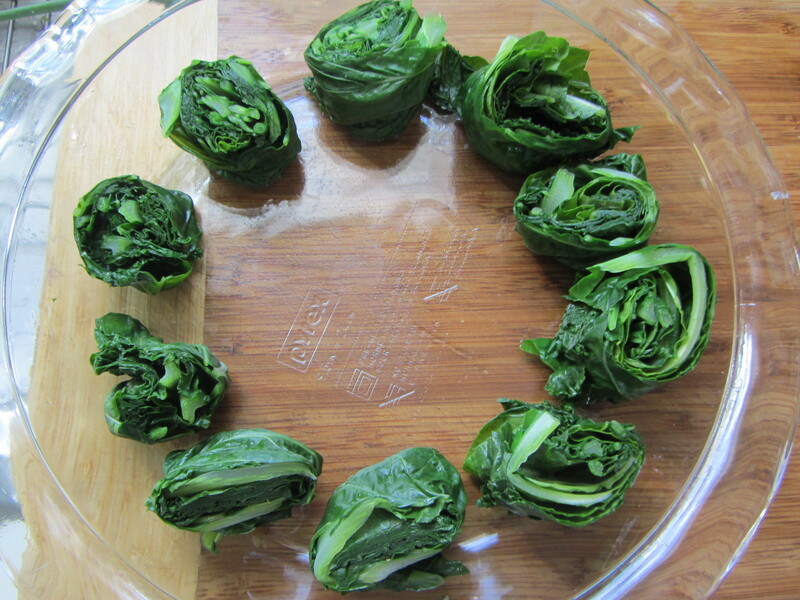 Komatsuna, Japanese mustard spinach, is high in Vitamin A, postassium and fiber. 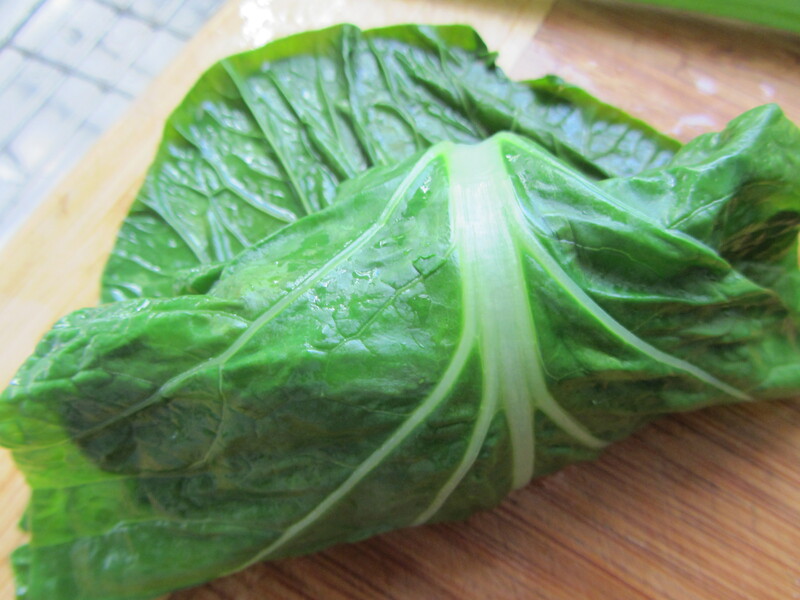 It is also rich in calcium, magnesium, iron, protein and Vitamins C and B-6. Mizuna or Japanese mustard has the same vitamins and minerals in lower doses. Kale has all of the above. This dish is essentially a multi-vitamin substitute that is tastier, more chewable and more satisfying to eat. Wash the greens well, immersing them in water and soaking for a few minutes, then rinsing. Cut all the tough stalk bottoms off the kale. 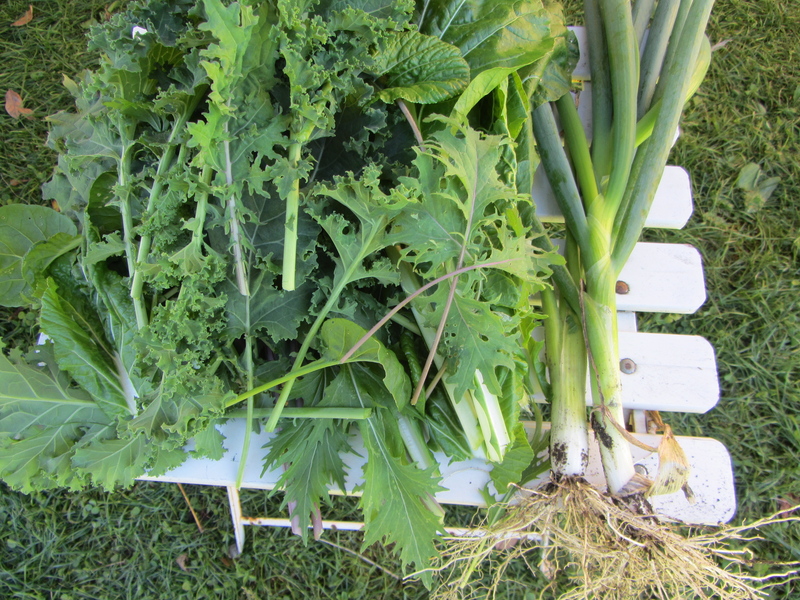 Trim any long stalks from the komatsuna and mizuna (you will be rolling them so leaves have to be soft). 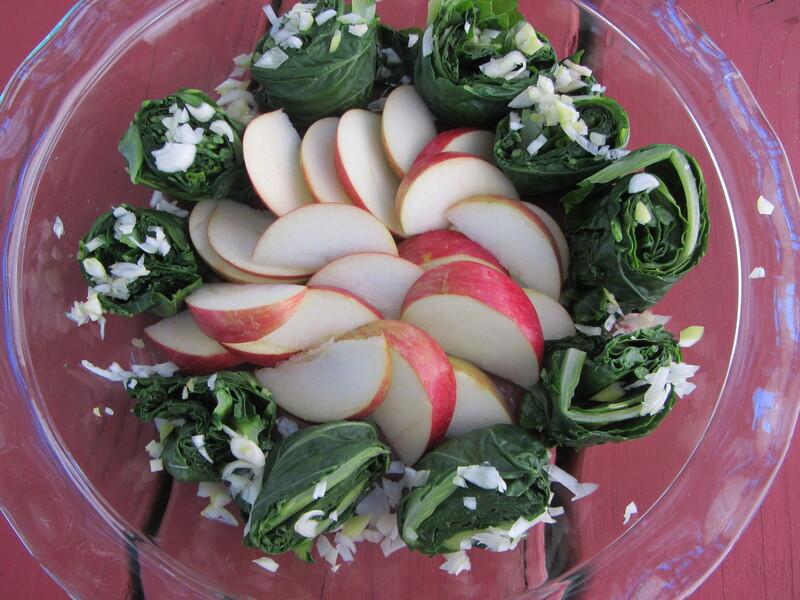 Place all greens together in steamer basket. Fill steamer pot with 1-2 inches of water. Cover and bring to a boil. 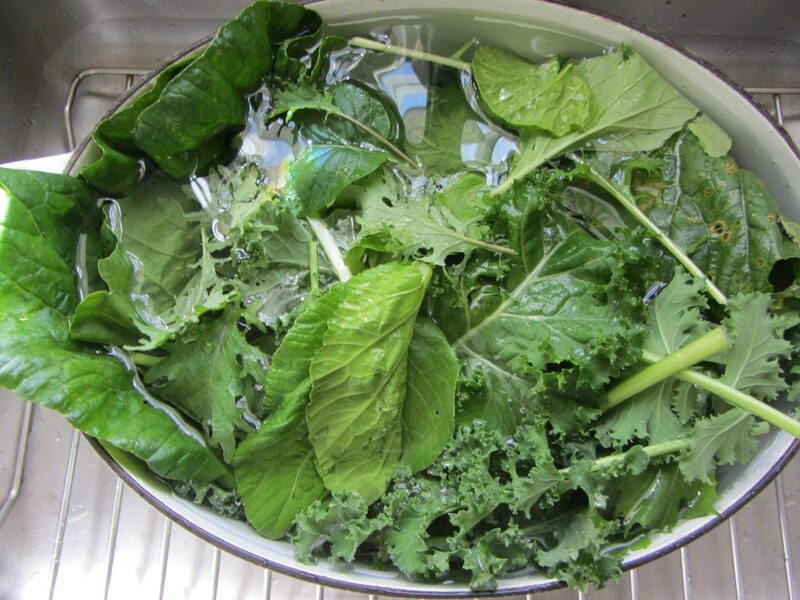 When water is boiling place basket of greens in the pot. Cover and steam for about one minute, until greens are softened but still vivid green. Remove basket and let greens cool off. 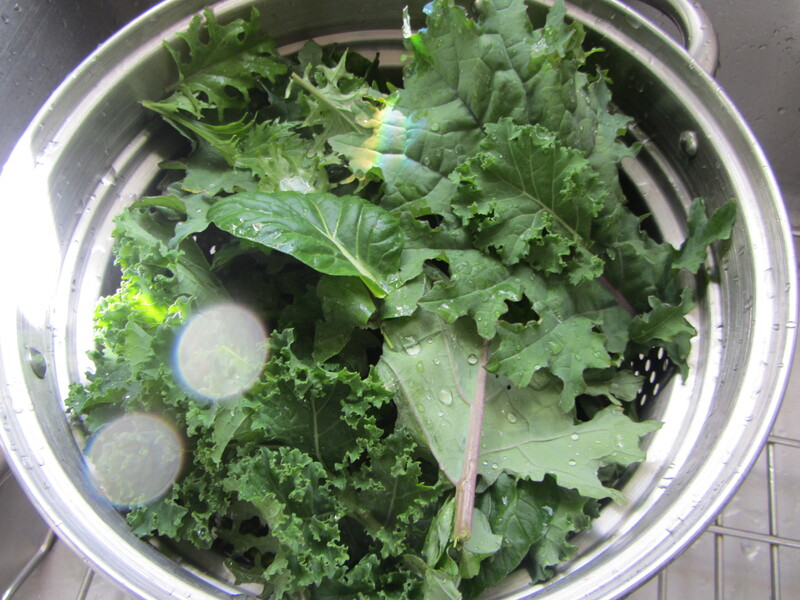 Take 2 or 3 different leaves (one komatsuna, one mizuna and one kale leaf), placing the largest leaf (either kale or komatsuna) on the outside. Roll up the leaves part way. Tuck the ends inside and finish rolling. Squeeze to tighten and firm up the roll. Repeat. Cut each roll in half and place face up on a plate. 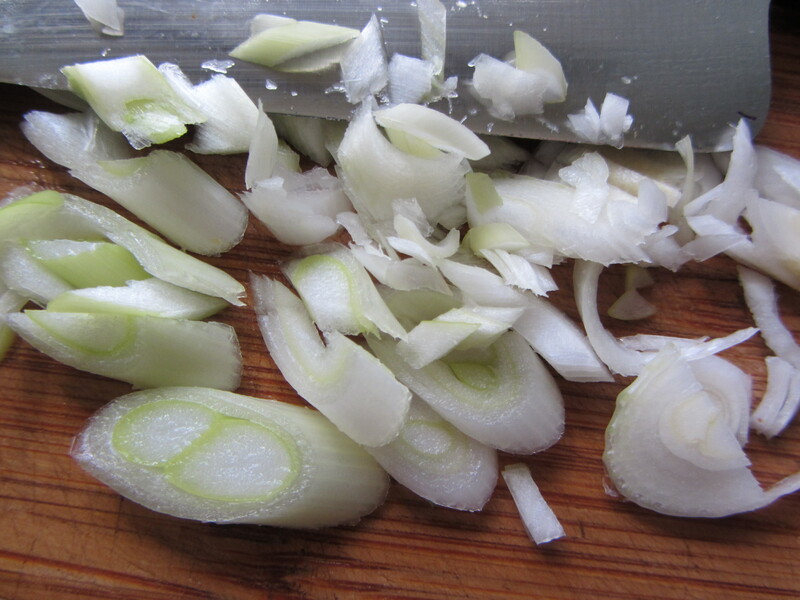 Wash the scallions and remove tough outer layers. 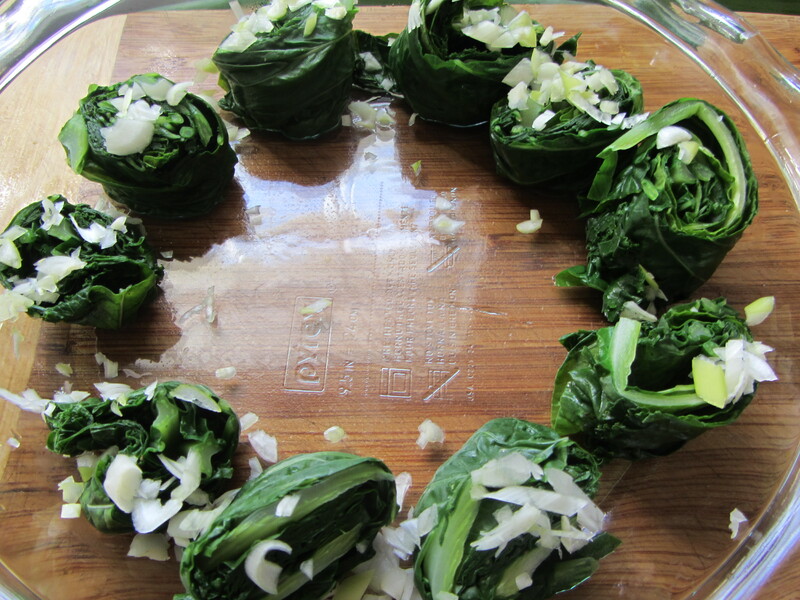 Slice them on the diagonal into thin (1/4 inch) slices and then chop the slices into tiny pieces. Sprinkle them on top of the rolled greens. Wash the apple. Cut in half and then place each half face down on the cutting board and slice it into half moons. Place on the plate as a garnish.